The quintessential go-with-everything white! Crisp, bright, and fresh as a summer breeze. 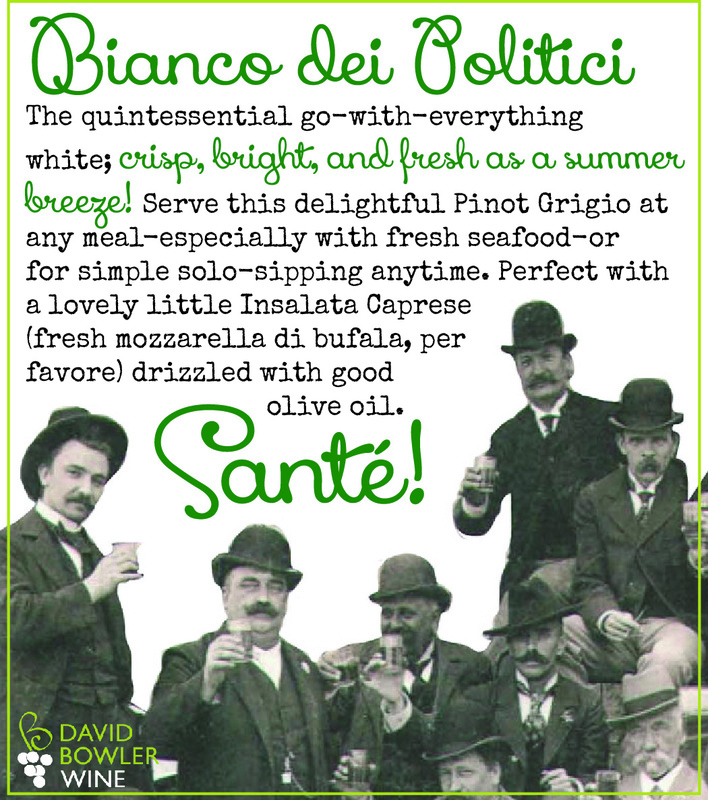 Serve this delightful Pinot Grigio at any meal (especially with fresh seafood) or for simple solo-sipping anytime. Perfect with a lovely little Insalata Caprese (fresh mozzarella buffalo please) drizzled with good olive oil... bonus points for a hit of freshly-cracked black pepper on that.